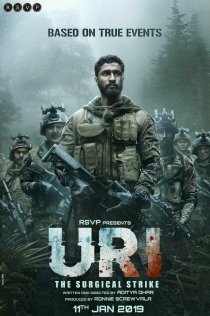 URI The Surgical Strike - First HIT Film of 2019. The Vicky Kaushal led film has crossed around 45 crore at the box office in 4 days. The film is heading towards a big first week at the box office going by the collections in the weekdays. The year has started on a very positive note as the first medium budget film of 2019 has managed to succeed at the box office after a good hold on Monday. The film had a very good opening weekend and it has held up extremely well on Monday with a double digit number although it was slightly aided by the partial holiday in some parts of the country. For URI, the 100 crore number is there for the taking as far as lifetime is concerned and the second Friday will give us the confirmation on that number. The film has also busted the myth that early January releases don't work as it has scored handsomely at the box office. This is a good number for a Vicky Kaushal film and to consolidate the success of this film, he has to keep doing such films to gain momentum at the box office.